One of the most eventful days I remember as a child is the last day of the year and the awesomely dramatic dawn of a New Year. Back then in the days there were various forms of preparations in view of doing two significant things: 1) expelling the old (out-going) year. 2) Welcoming the New Year. To ritualize these two activities, some fun inebriated people would throw handy explosives (banger) the sound of which indicates the expulsion of the Old Year with its challenges and the hopeful welcoming of the New Year. Some other people (perhaps the more superstitious) would bring out some of their old clothes and other items and have them burnt as an indication that the frustrations of the Old Year had been burnt away and would thus not affect the New Year in anyway. Beyond these rituals and utterances that characterise the exit of the Old Year and the emergence of the New Year is the challenge of making proper APPLICATION. It is one thing to make utterances, wishes and plans and yet another thing to have them play out accordingly. Most wonderful plans disappeared before the middle of the first month of the New Year. Most resolutions were lost as soon as they were made, some people failed woefully in activating the New Year with those awe striking oracles! The practical question that presents itself here is how we can translate the wishes, utterances, oracles and rituals that welcomed the New Year into functional guides or more appropriately how we can incarnate them into the New Year. 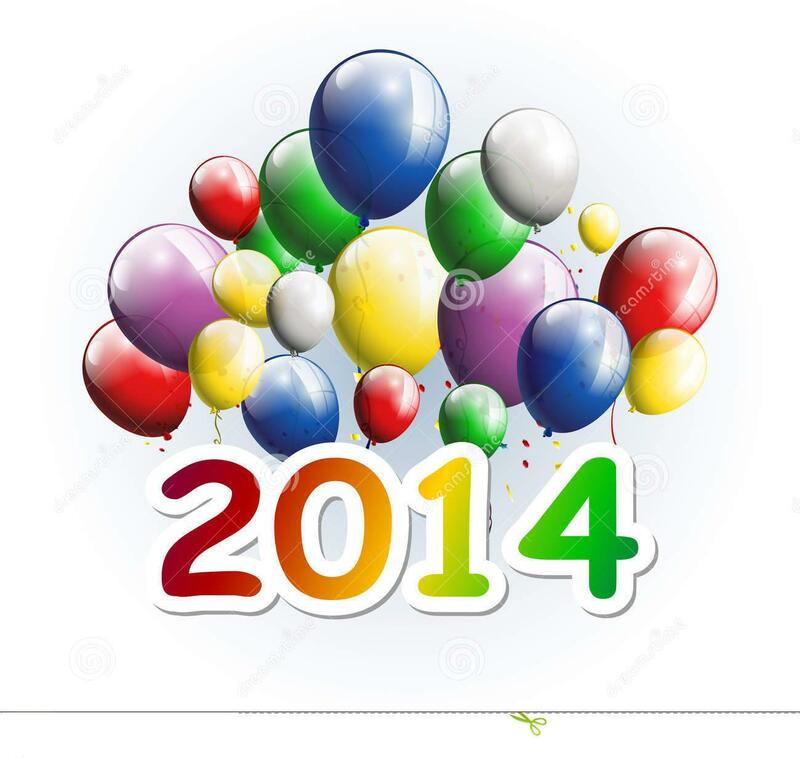 Yes it is going to be a wonderful year, it is going to be a pleasant year, and it is going to be a successful year! But how? All these and more were said of the last year yet most people ended with regrets, sighs and even tears. There is normally the conventional wish of a “PROSPEROUS NEW YEAR” in the mouths of many people with the emergence of the New Year. It will be very much in order to reflect a bit on this PROSPERITY attached to the New Year largely because most people measure it only in terms of financial and economic returns. If you take a little time to see the definition of prosperity in most dictionaries, you will see it as being a state of flourishing, good fortune and success. Hence while prosperity encompasses wealth, it also includes other factors that are independent of wealth like happiness, good relationships, spiritual and emotional stability and health. This reflection on the New Year sees prosperity as an integral event which has relevance in every segment of our lives not just on our finances and economic well-being. What follows here is a committed and practical demonstration of how we can activate a prosperous New Year in all ponderable ramifications. Work on a “NEW YOU”: In the synoptic gospels our Lord Jesus Christ talked about putting a new wine into a new wineskin and not verse versa (Matthew 9: 14-17, Mark 2: 18-22; Luke 5:33-39). This actually means that the new realities we desire in our lives in the New Year should be received with new lives. There is no way this New Year will effect new things in the OLD YOU. A New You is produced when you drop the unproductive old ways, habits and attitudes. You cannot be doing the same thing the same way all the time and get a different result, for Einstein it is insanity. So try to change the way you do things. Forgive and ask to be forgiven: Enmity, rancour, bitterness and lack of forgiveness are road blockers. Take the pain and even the displeasure to forgive and have yourself a most refreshing New Year it works. (See Luke 6:37b).As Madiba would say, “there is no future without forgiveness”. Draw up a plan for the New Year and follow it: It is often said that whoever fails to plan had planned to fail and this is indisputable. Your success wishes and utterances are not magical verbalisations they are potential seeds that need to be planted at some fertile grounds. Incarnate your plans purposefully and water them conscientiously. Do not waste your time on ideas that are not productive. Beware of time waster: I have over the past two years established FOUR TIME WASTERS. They are actually good and functional phenomena but they can however render us redundant when we fail to use them with caution. They are Friends, Television, Telephone and Internet. Friends are really like adornments on our social landscape; no doubt we need friends to fill the social gaps. However friends can turn out to be time wasters and that is when nothing productive comes from the friendship. For you to meet up with some important targets within the New Year there will be need to shade some friends; some friendships are just not necessary. Television can also be a big time waster as it takes your attention from achieving some goals. Telephone and internet are also seen as time wasters as they consume our productive times even at some critical moments. Imagine how much of your productive time is taken up by these time wasters! Live a simple life and things will be easier for you: There are really many people who are living complex and fake lives; if you like, borrowed lives. Being truthful is a simple way of living while telling lies makes one’s life to become complex because you need more lies to move on. Be courteous, honest, plain, sensitive, responsible and cheerful. You will be better than you were in the past year. Give and there shall be gifts for you (Luke 6:38): One of the secrets of receiving is giving. Charity is one of the few attributes we have the privilege of sharing with God. The giver hardly lacks and nobody is too poor that s/he cannot give something. There are many things we can give apart from material things. It could be a smile, a hand, a hug, kindness, love, forgiveness etc. We are all called to give! Your prosperity this year can spring forth from giving. The wealth in the world is enough for each of us to be comfortable. But it happens that only a few are privileged while numerous others cringe under poverty. Attentive to this Pope Francis observed in the Apostolic Exhortation Evangelii Gaudium (The joy of the Gospel; no.2) that: “the great danger in today’s world, pervaded as it is by consumerism is desolation and anguish born of a complacent yet covetous heart, the feverish pursuit of frivolous pleasures, and a blunted conscience”. Invest your time very effectively: There is every truth in the saying that time waits for no one. As you are reading this time is graduating from seconds to minutes and so on. When it comes to the use of time, three platforms are involved. Time can be (1) managed (2) invested (3) wasted. The most needful among all of them is investing your time. Do not waste your time because it can never be regained. Above all Pray, Pray and Pray always (Luke 18:1): Our plans and aspirations within the New Year may not work out if we fail to commit them to God in prayers. Prayer is our sure and only connection and link with the triune God. When we stop praying we start perishing. St. Paul writing his first letter to the Thessalonians asked them to pray without ceasing (1 Thess.5:17). The Pope (Francis) made a similar statement by inviting all Christians everywhere to a renewed personal encounter with Jesus Christ or at least an openness to letting him encounter them. This he admonished should be done unfailingly each day (Evangelii Gaudium no.3). “May the Lord bless you and keep you. May the Lord make His face shine upon you, and be gracious to you; May the Lord lift up His countenance upon you, And give you peace. Amen.